The much-awaited sensational Mercedes Benz G-Class G63 AMG variant certainly lives up to its cult status. The company has unveiled photos of its all-new C63 AMG model that will be introduced alongside other models from the G-Class lineup of the company in August. It will be replacing the present G55 AMG and motivation for this new model comes from an updated bi-turbo 5.5 liter V8 engine, which is good for pulsating impressive 534PS of power with earth-shattering 700 newton meters of torque. Albeit the 0 to 100 figures haven’t been disclosed yet, we expect this massive sport utility vehicle to do better unlike the present G55 that reaches this mark in little more than 5.5 seconds. The engine is mated to AMG SPEEDSHIFT PLUS 7G-TRONIC transmission that sends power to all the four wheels and gains 3 driving modes – ECO mode for efficiency, while the powerplant start/stop function is active and the sport utility vehicle fires only 4-cylinders when stationery giving it an much superior economy unlike the previous model. It also features Manual (M) and Sport (S), which turnoff start/stop function, shortens shift time when changing up at full load and stiffens the suspension for superior handling. There are some changes to both the interior and exterior of all-new Mercedes Benz G-Class G63 AMG for providing it a high performance look, the company has added – new grille, new LED lights, redesigned mirrors, 20-inch alloy wheels with bright red brake calipers and AMG front bumper. The interior is also new; the sport utility vehicle now feels a lot more carlike with TFT screen with Command system, leather upholstery with leather door paneling and new satin silver surface. 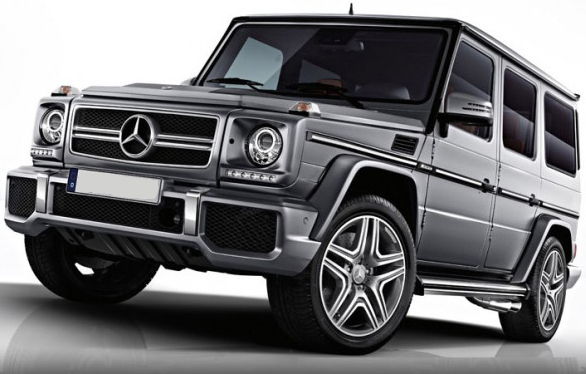 Mercedes Benz has planned an even more exclusive G65 AMG, which will be the first G-Class vehicle to be powered by a V12 6.0 litre bi-turbo engine. This engine is good for pumping out 612PS of power with more maddening 1000 newton meters of torque. 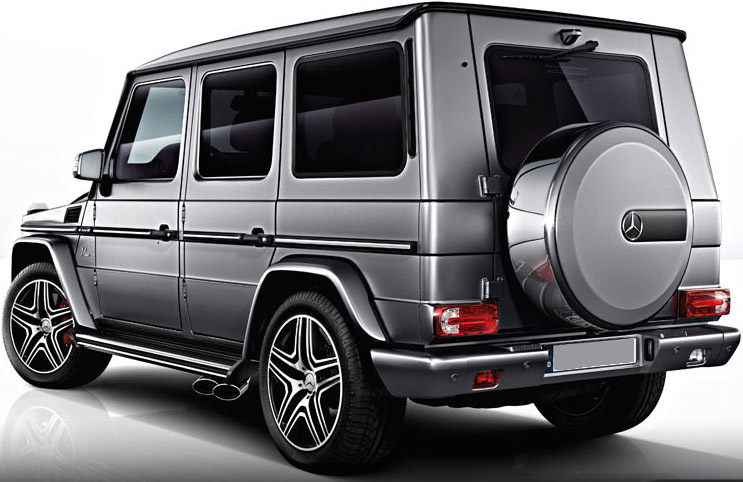 This 2.5 ton beast reaches 0 to 100 kilometers per hour in less than 5.3 seconds and will eventually top at an electronically controlled speed of 230kmh.It can be differentiated from its younger sibling, G63 by its 5-spoke alloy wheels, ample V12 AMG branding on both interiors and exteriors and glittering chrome grille. The all-new Mercedes G63 will be introduced at Beijing Motor Show next week, alongside new Mercedes CSC concept.